Hosting their first postseason game at Lakefront Arena since 1994, the Privateers (16-16) also won their first postseason game since that victory against Texas A&M, downing UT-Rio Grande Valley, 77-74 in the CBI first round. 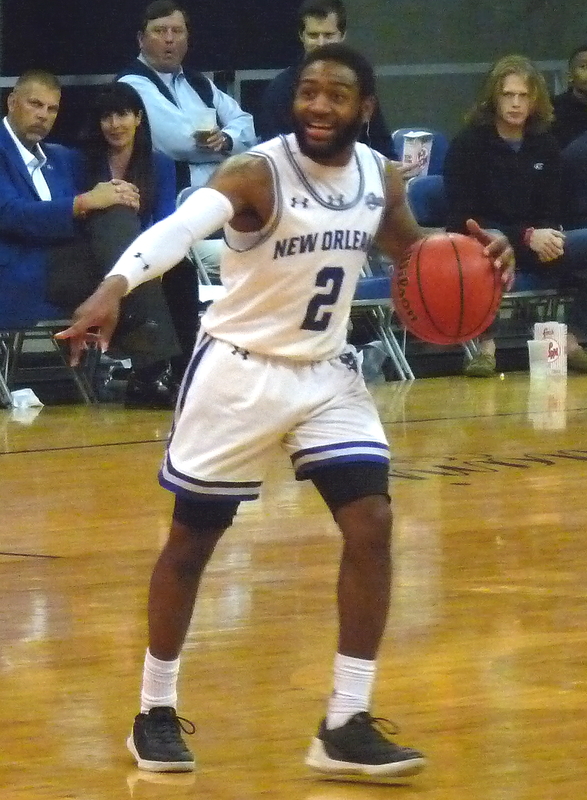 The game was tied 37-37 at halftime, but the Privateers forced their way ahead in the second half, building a 62-55 lead. The Vaqueros were able to rally and cut the deficit to 1 at multiple points, but just couldn't quite draw even again. Freshman point guard Lamont Berzat turned in a dominant double-double performance with 21 points and 10 assists, as well as 4 steals. He connected on four three-pointers. Fellow freshman Damion Rosser added 14. Monroe, La. native Terry Winn led four Vaqueros in double figures with 14 points. UNO awaits Campbell in the second round of the CBI.